Welcome to Iris Apartments, a block of apartments which has become an ideal destination for our selective guests and has rightly gained their appreciation and trust over the years. 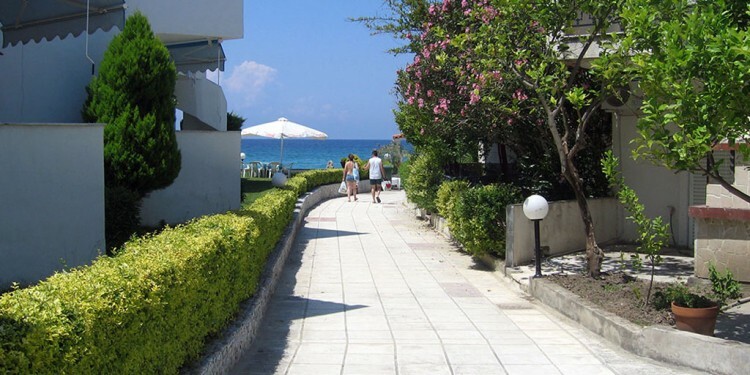 Fourka Beach (Skala Fourkas) is located in bewitching Halkidiki at the fabulous peninsula of Kassandra. Uniquely mixing the green of the forest and the blue of the wonderful sea with crystal clear waters and golden beaches, it offers a splendid holiday resort, satisfying even the most demanding visitor, whether he prefers an exciting night life at the numerous beach bars of the area, which are easily accessible from our apartments, or chooses the peace and quiet of our houses. 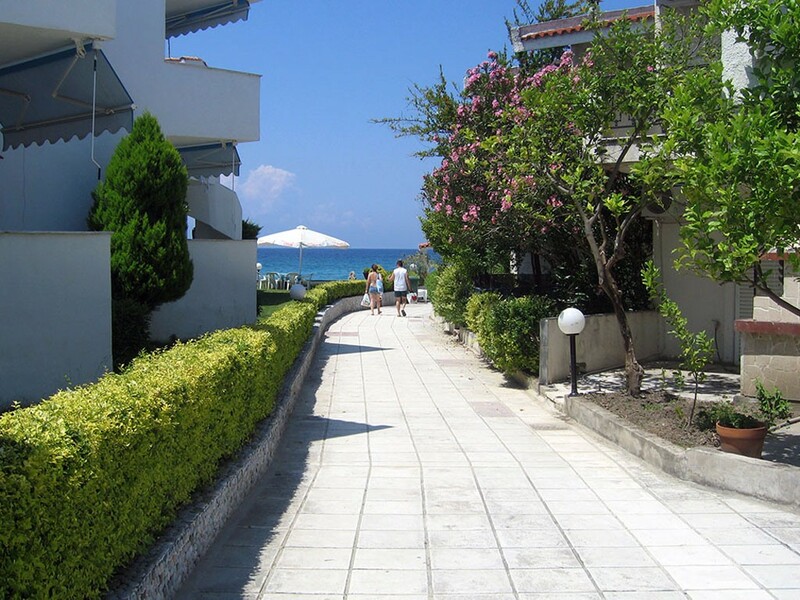 Overlooking the sea and the wonderful sun set, Iris Apartments offer 8 spacious, furnished and fully equipped houses which guarantee unforgettable holidays.